Hunter Bathroom Renovations excel in transforming commercial bathrooms into both functional and aesthetic environments. Our team work in partnership with you and provide custom solutions based on your business’s unique needs. Transform your business with the experienced team from Hunter Bathroom Renovations. Contact us today and see how we can best help your business with your commercial bathroom upgrade. The team at Hunter Bathroom Renovations can manage your commercial bathroom upgrade from concept to completion. No job is too big or small. We understand that modern functional bathroom facilities can make all the difference to your business. Our team handles all aspects of your bathroom renovation, ensuring it is as simple and efficient as possible. Get a free quote today and find out how we can help transform your business bathroom. We will give you a fresh look to reflect your business. Don’t wait any longer to have the bathroom of your business deserves. Whether you’re simply looking to improve the layout and design or are wanting a completely new commercial bathroom, we can assist. Our services are built around meeting the needs of our customers. We do a personalised quote to suit your businesses needs and budget.  Hunter Bathroom Renovations is a locally owned and operated business providing complete bathroom renovation solutions. Our team will guide you through each step along the way of your business bathroom renovations. We ensure you get your dream bathroom on time and to budget with no compromise on quality. Absolutely amazing to work with. I have a new bathroom installed at my investment property and used the services of Jarrod from Hunter Bathroom Renovations. Jarrod and his team were absolutely amazing to work with. Very professional, committed, reasonably priced and most importantly got the job done on time. Jarrod is an excellent individual, easy to work with, very patient and generous with his time in trying to understand what is required. He also has excellent suggestions for layout, designs, including fitting and fixtures. I would not hesitate to use them again and have absolutely no reservations in recommending them to anyone. We have been renovating a large terrace house and Hunter Bathroom Renovations has been working with us to integrate 4 new bathrooms and 2 new laundries into the historical structure. The workmanship is exemplary – the whole team is absolutely professional and prompt on all occasions. Gone above and beyond to accommodate our out of the ordinary requirements and we would have no hesitation in recommending them for any project large or small. I recently had Hunter Bathroom Renovations completely renovate my fully brick bathroom and I was extremely happy with not only their first class workmanship but also with each of the sub-contractors involved, it was all very professional. I was also impressed with the fact that Jarrod personally introduced each of the sub-contractors to me, together with the fact that after completion of work for the day, my unit was left spotless. I would highly recommend Jarrod and Hunter Bathroom Renovations to anyone wishing to have bathroom renovations carried out. Over the past 10 years, Hunter Bathroom Renovations have been providing Newcastle with quality bathroom designs. Our team has completed projects of all sizes from small-sized renovations up to large commercial bathroom developments. At Hunter Bathroom Renovations we understand what it takes to achieve a high-quality design. In completing your renovation we only use premium products. We pride ourselves on the quality finish of our work. As Newcastle’s leading commercial and residential bathroom renovation company, we always follow leading industry practices. Our team ensures every step of your renovation is carried out efficiently. Regardless of the complexity of the project, we always ensure your renovation is tailored to your business’s specific needs. We aim to provide personalised services to all our clients. Our staff will work with you to bring your bathroom ideas to life. Starting with a free consultation, we then design the perfect commercial bathroom solution for you. We provide a detailed quotation, with each cost outlined so you are always informed. Once you have accepted the detailed quote, Hunter Bathroom Renovations will begin work on your commercial bathroom renovation. Our team are fully licensed and accredited, adhering to industry regulations. We always ensure best practice is followed during every step of your renovation.